PHOENIX—The future is coming at us at a breakneck pace—and it’s riding in a driverless vehicle. What will that mean for the office market? Lee & Associates’ Andrew Cheney gives us a peek. PHOENIX—EXHIBIT 1: Uber is expanding the number of states that will embrace its next-generation service concept: driverless cars. EXHIBIT 2: Autonomous deliveries are currently being road tested, with Budweiser paving the way in October 2016 with an autonomous delivery in Colorado Springs, CO. (Note to reader: That’s cool, but woefully behind the advances being made in Europe.) EXHIBIT 3: Automated parking—so-called robo-parking—is an ever-expanding reality. Take all of these exhibits together, and they outline new and very different challenges for those involved in providing office space. 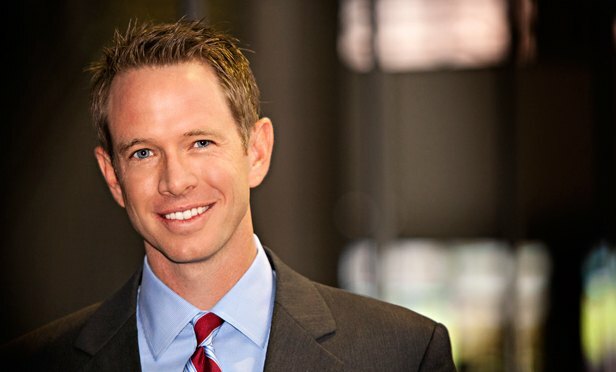 Andrew Cheney, a principal in the Arizona office of Lee & Associates, is a bit closer to the coming technology than a lot of industry practitioners might be—but then so is everyone in Arizona, where Uber planted an early flag in the driverless vehicle movement. Clearly as the technology catches on and spreads among the commuter community, how we get to work and what we do with our cars once we get there will change forever. This of course will bring major changes to how we develop and lease office assets—both in and out of the city. “Buildings will be able to get by with less parking onsite,” says Cheney. “Add to that the eventual capability for robo-parking, which is still too expensive to be practical for now, and operators will be able to cram a whole lot of cars into fewer spots. What’s more, car owners will hit a button and their car will come out of a garage, just like a Coke comes out a vending machine. Cars will still have to nest somewhere, but they won’t have to nest necessarily in your building.” That, he says, can be in less expensive real estate than prime CBD space. There’s another consideration in the autonomous vehicle conversation that owners and developers will have to join . . . same-day package delivery and the strain that will put on traditional office methodologies. Obviously, he says, “Loading docks and other delivery spots will have to be designed for more volume.” Between cars queued up for robo-parking and autonomous deliveries waiting to unload, Cheney sees a situation akin to “the line that forms when parents drop their kids off at school.” It sounds whimsical, but it will be real problem for architects, owners and managers to deal with. While robo-parking might be a few more years down the road, driverless vehicles—both commercial and private—promise to disrupt the landscape in relatively short order. The challenge of course is that it takes years to plan and build an office building. Eventually, we’ll all have a workable model for cost-effective office design, but what of right now? What are practitioners to do? In the suburbs, the challenge isn’t much different. Office workers in driverless vehicles will have more hours built into their day, and might even opt for employment opportunities farther away than they now consider convenient. But developers will have opportunities as well, such as taking the “sea of parking” that surrounds an asset and concerting that as well to a higher and more profitable use. Much of the solution will have to be concocted by the city in which the tenant resides, especially since local governments “are increasingly involved with locational decisions for big corporations,” he says. “Certainly the gateway cities where real estate is denser and more expensive—San Francisco; Chicago; Washington, DC; and New York—will have to devise plans that will redefine those places as technologically smart cities.” The alternative is to render the building—and possibly the urban environment in which it resides—obsolete. John Salustri has covered the commercial real estate industry for nearly 25 years. He was the founding editor of GlobeSt.com, and is a four-time recipient of the Excellence in Journalism award from the National Association of Real Estate Editors.